Laura: I'm Laura McLively, and my new cookbook is the Berkeley Bowl Cookbook. Suzy Chase: Epicurious just named the Berkeley Bowl Cookbook one of the it cookbooks for Spring 2018. Tell us about Berkeley Bowl and the owners. Laura: So, Berkeley Bowl is a family-run market. They, Glenn and Diane Yasuda are the owners, and they opened up shop in a former bowling alley back in 1977, so a lot of people think that the store is called Berkeley Bowl because of the bowl alluding to some sort of edible culinary adventure, but it's actually named after the bowling alley, and so they opened up shop there back in 1977 because they used to live behind that location, and Glenn and Diane spent some time living in Japan, and that arrangement really reminded them of how shops were set up in there in Japan, where people had their store front and they lived behind it, and so, they bought the property, turned it into a grocery store that was mainly produce, and from there it evolved into what is now 40 years later a very big grocery store with over 600 employees. Suzy Chase: I found it really interesting that local farmers asked Berkeley Bowl what they should plant. Laura: Yeah, I do too. I think that that's the unique aspect of Berkeley Bowl, and that because it's still a family-run market, they're able to work directly with farmers and local growers to source and ask them to produce items that they want to have in their grocery store, that large grocery franchises can't really do that because they have to provide such huge quantities and take them to a centralized warehouse and distribute them to all the locations. They can't really work with a small farmer to produce some niche item, and so it's a really nice arrangement because in that way, Berkeley Bowl can ask a small farm to produce, for instance, food at hand, knowing that they have a huge customer base that wants that item, and then the small farmer has a guaranteed market for that item. They're not taking that huge risk of growing something that's maybe a little bit wacky or unknown to most people and risking no one buying it. Suzy Chase: The LA Times has called Berkeley Bowl one of the nation's most renowned retailers of exotic fruits and vegetables. Describe the first time you saw an African Horned melon at Berkeley Bowl, and what is it? Laura: it's on Star Trek, but my first time seeing it in the store was I had moved here from Sonoma county. I moved to Berkeley to go to college, and I had heard about Berkeley Bowl, and I immediately went there because I wanted to check it out for myself, and I was, of course, struck by the variety they had. Even though I'd heard about it, I just couldn't believe what I was seeing. They had so many amazing fruits and vegetables that I'd never seen before, and I think, by far, the most extreme one is the African Horned melon, and I picked it up. I looked at it. There happened to be one that was cut in half, and I smelled it, and it just, it was kind of intoxicating. It smells like lime and banana and melon and cucumber all mixed together, but something in me didn't feel like I could take it home and eat it. It was almost like all these unusual fruits and vegetables that weren't part of my culture, I almost felt like I didn't have permission to take them home and cook with them, like they weren't mine. And it wasn't until years later, after an experience of living in Spain and having a cooking club there, where we were basically just challenging ourselves each week to cook with something we'd never cooked with before, it wasn't until coming back from there that I was really yearning to continue that spirit of adventurous cooking, that when I went back to Berkeley Bowl for the first time, and I saw these fruits and vegetables in that new context, I was like, well, hey, why aren't I doing this now? Why don't I continue that spirit of adventurous cooking from my own home? And so that's when I picked it up, brought it home, and played around with it and had so much fun developing recipes for it that I decided to start a blog where I would chronicle my adventures with doing that with each and every item in the store I could find. Suzy Chase: Yeah, before we talk about your blog, you have a line in your book that says, "Foods unfamiliar to me are as much a part of someone else's everyday diet as tomatoes are to my family." Laura: Exactly. Yeah, and so that fruit, every fruit and vegetable in my book is normal to someone, right? Laura: And for good reason, so these things are really amazing, and they may be popular in other cultures, other countries, but even within the United States, other regions, and once you get over that fact of, once you realize that fact that these things are normal to someone, it kind of [inaudible 00:06:18] some of the intimidation in working with these fruits and vegetables because maybe at first glance they look like, oh, well I've never seen that before. I wouldn't possibly know what to do with it, but someone somewhere is cooking with that, otherwise it wouldn't be in the store, and it's probably for a very good reason. Suzy Chase: That's a really good thing to remember. Laura: Yeah, I think so. Suzy Chase: So, you chronicled your journey cooking with the market's ingredients on your blog called My Berkeley Bowl. Tell us about your blog. Let's see. I started it in spring of 2015, and it was that December of the same year that Parallax Press approached me about turning it into a cookbook, and it just seemed like a great idea because it was such a finite project with a very specific aim of cooking with unfamiliar fruits and vegetables, and it just really seemed like it would work as a cookbook because part of what I wanted of this is to see, to really shine the spotlight on these fruits and vegetables, and so to have a beautiful, almost coffee table-like book with luscious photos by Erin Scott, that really capture how beautiful these fruits and vegetables are, is sort of a dream come true for me. Suzy Chase: In the book, the recipes are organized by type and ingredient. Talk a little bit about that. Laura: So, I didn't go the traditional route of organizing it by courses because this is really an ingredient-driven book. That's how my process was for developing the recipes, and so that's how the cookbook is laid out, so what I mean by that is I literally would walk into the store not knowing what I would find that day because it's different every day, based on what's in season, and I would pick up something new and bring it home, and after trying that one item in a jillion different ways, I would develop a recipe for it, and so it makes sense to me to organize the book in a way that really honors the fruit or vegetable itself rather than organize it by course because that's not how I developed the recipes. And in addition, I think it's really, it's kind of a poetic way to think about these things, but in a chapter, that if you want to delve into a chapter, you're working with spores and succulents, or you can work with flowers, seeds, and pods, and so I think it's a kind of poetic way to think about these things and just to treat them as the superstars or as the hero of the dish, rather than as an ingredient in a breakfast or in a dessert or in a dinner. Suzy Chase: You have a whole chapter dedicated to stems. What exactly are stems? Laura: Stems are basically anything that would be the stalk or the stem of a plant, and so, some examples in the book are things like Bạc Hà, which is the stem of the Elephant Ear plant, so it's a really spongy stem that once you cook it, it's like a sponge. It literally soaks up the broth, so it's really commonly used in, for instance, hot and sour soup type dishes, and I use it in a Spanish-style garlic soup. Other stems that maybe don't even look like stems are, like one that surprises people who are familiar with it is kohlrabi. The kohlrabi is, people think it's the bulb of the plant or the tuber, but it's actually a stem that's kind of in a round shape, so that one is, that's the kind of surprising one in that chapter. And then I have things like white asparagus and lemongrass, which is in a lemongrass coconut ice cream, [inaudible 00:11:44], cardoons, rhubarb, so all different colors and shapes and sizes that when you weigh them out, and if you have the book, you can see them laid out in the spread, and it's like art. It's these beautiful different shapes and sizes and colors. Suzy Chase: When I go to an ethnic market that has exotic produce, I'm so intimidated by the fruits or vegetables that I can't identify. What advice would you give someone like me, who's daunted by the unknown? Laura: Have some fun. There's no harm in making mistakes, and there's really, you really can't make mistakes first of all, but if you take it home and you try using it in a way that you don't like, no harm, no foul. You can just try again, but I think I would say that you would quickly find that the fun of doing it outweighs the fear of the unknown, and there's also of a lot of resources available to you. One thing I would say is if you're at a market and you're looking at something you're considering cooking at home, but you're not sure what to do with it, just stick around and wait because someone is bound to come up and reach for it, and it's a great way to interact and to share between cultures because you can ask the person, hey, what are you doing with that? And that's what I often did at the store, is I would sit around and wait for someone to reach for the burdock root, and I'd ask them, what do you do with that? Also, the staff at those places are usually very knowledgeable, and so you can ask them questions, and if they don't know, someone else might know, and they'll go grab them, so that happened a lot at Berkeley Bowl, where the staff is diverse with the community and is diverse with the offerings at the market, and so I was always able to get an answer from them. And then, of course, most of us have iPhones or smart phones, and so you can look it up. There's some great resources out there. You can find a lot of them on my blog, My Berkeley Bowl, but also Specialty Produce is a great website that has a lot of information on specialty produce as well. Suzy Chase: Yeah, I took the book with me to Chinatown because there's a bit of a language barrier, and that helped a lot, getting the produce that I needed to make some of these recipes. Laura: Oh, good. Yeah, I was hoping ... I'm hoping this book can sort of be a companion because of the nature of the items in it, a lot of times they have a short season or you have to go to a specific market to find them, and so my idea is that you just pack this up and take it there because you don't really know what you're going to find until you get there, so it's better to go see what's there, and then maybe look it up, and in the back there's a key, where all of the produce is pictured with numbers, and you can look up the name of it so that you can easily find it and identify it and make sure you're picking up the right thing. Suzy Chase: As a food explorer, and I love that title, how did you determine how to cook a mysterious fruit or vegetable? Walk us through how you developed these recipes in the book. Laura: Generally, once I got the item home, I started a process of what I call playing around with it, so generally I would try it raw to see what it tastes like in its pure form and really identify its flavor, and if it's something that needs to be cooked, I would usually cook it a couple different ways, and not necessarily the most, the way that it's most commonly used in that culture. So, I wanted to see if there were other ways to bring out its structure and flavor, so I'd broil it or braise it or roast it, grate it. I'd try as many ways as I could to see how I liked it the best, and then once I identified the way in which it, the way which truly honored its texture and its flavor, I was usually inspired by that point to incorporate some other flavors, so for instance, something like a green papaya, when I tried that on its own, it's really bright and acidic, and I knew I wanted to have it in a gazpacho because gazpacho should be very bright and acidic. So, from there, I fiddled around with what I wanted in the gazpacho. I threw in some avocado for creaminess and some cucumbers and limes and ultimately tried and tried and adjust and adjust until it's to the point where it can be tested, and then I would send it to a huge team of friends and recipe testers, I think there's about 35 of them all over the world, and someone would try it at least three times, and we would adjust it from there. 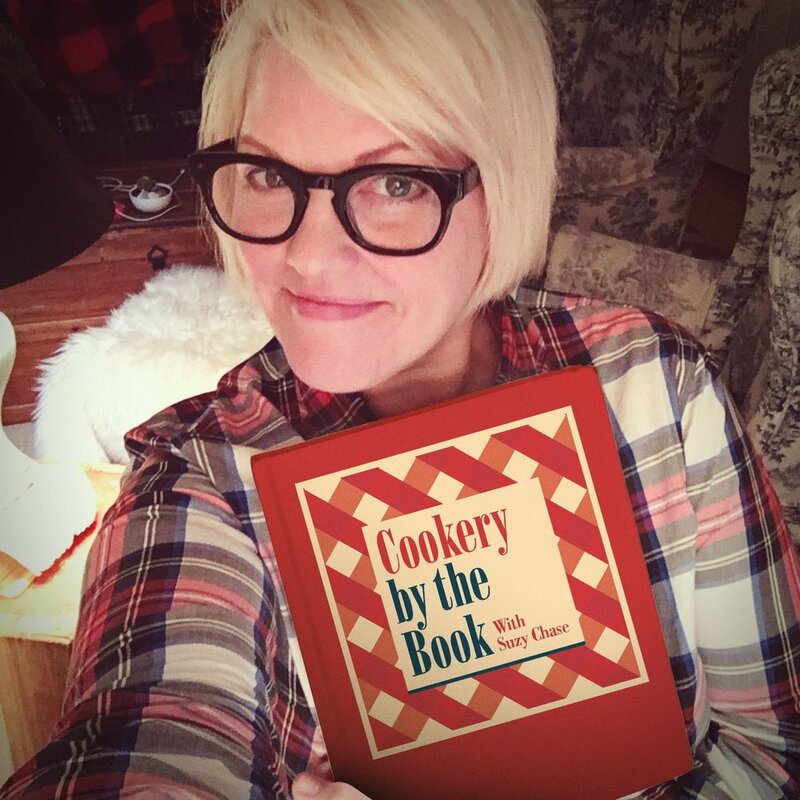 Suzy Chase: So, I made a few things out of this cookbook. First was the pickled kumquats on page 197. The flavor was definitely different. I expected the kumquats to be very sweet. Laura: ... as many oranges. Laura: Exactly. So, I think what I love about pickled kumquats is that they're not sweet, and it's not supposed to be candied or like a fruit that you would eat on its own. It's really meant to brighten and add acid to pair it with, so I always had a jar of pickled kumquats in my fridge to throw in salads. It's really great to throw on a salad, or just something to make it more beautiful and acidic and tangy, and guests are always surprised because they sort of look like cherry tomatoes, but the Sun Gold tomatoes, so when they bite into them and instead they find this citrusy, pickly taste, they're always like, wow, what's that? And then they're also really great on a cheese plate because creamy cheeses like Brie or Camembert can really finish it from having a little touch of brightness and acid. Suzy Chase: Yeah, they were definitely tangy. I'm going to try them on a cheese plate. Suzy Chase: I also made the purple cauliflower quesadilla with curry crema. Try saying that three times fast on page 73, and I cooked the cauliflower until it was super, super soft, and the curry cream was such a nice surprise with it. Laura: ... and I'm cooking for my family, right? So it's like these are things that I should cook, and purple cauliflower quesadillas is about as easy as it gets, so the things that are meant to be accessible and to take the intimidation out of these fruits and vegetables. Suzy Chase: And my 11 year old loved this quesadilla. It's really a great weeknight fast dinner. Laura: Good, I'm so glad that you're daughter liked it, too. Suzy Chase: He's a son, but that's okay. Suzy Chase: So, I also made the starfruit almond torte on page 198, and I didn't have a springform pan, so it was rough getting it out, but it was really delicious, and I was surprised by how almondy, is that a word,? Almondy it was. Laura: Yeah, that ... This tart was inspired by Tarta de Santiago, which is the St. James cake that they serve in Santiago de Compostela, which is the end of the pilgrimage that you can do across northern Spain, and so when you arrive in this town, there's sort of cake in every window, and it's an almond based cake, and I've always loved it, and my mom used to make it when we were growing up, and it's really simple to make, too. It's kind of a foolproof dessert, and so when I saw the starfruit, I knew I wanted it to decorate the top of the cake, but rather than just laying it on there raw, I thought it would be really cool to bake it into the cake, so there's like a pineapple upside down cake and flip it over, and so there's a sort of a combination of those two things, and I think it comes out beautifully, and if you serve it to guests, they can be like, oh, my gosh, how did you cut the fruit in that beautiful shape, and they don't realize that it just comes that way. Suzy Chase: Yeah, it's really pretty. Last night, I made the broiled pomelo with cinnamon crème-fraiche on page 172. Now, what's the difference between a pomelo and a grapefruit? Laura: A pomelo is much larger, and it has a much thicker rind and pith, whereas grapefruit is obviously smaller and has a thinner rind. I also think pomelo is a bit sweeter. It's sweeter and it has less bitterness, so if you always wanted to like grapefruit, but you just can't get over the fact that it has that bitter taste, you should try pomelo, and the reason I like it in this preparation is because when you slice it in half and you broil it, there's more, the pith is bright white, and it just looks prettier than grapefruit. It has that nice contrast between the pith and the fruit, and it kind of caramelizes and burns a little bit on top, so I think it works really well in this recipe. Laura: So, my social media, my Twitter handle and my Instagram handle is @myberkeleybowl, and I have a Facebook page as well that's My Berkeley Bowl. My website, the blog is myberkeleybowl.com, and you can also me on my personal website lauramclively.com. Suzy Chase: With this cookbook as your handy guide, sourcing produce is fun. Thanks, Laura, for coming on Cookery By The Book podcast. Laura: Thank you so much, Suzy, for having me. Suzy Chase: Follow me on Instagram at CookerybytheBook. Twitter is IamSuzyChase, and download your kitchen mix tapes, Music To Cook By, on Spotify at CookerybytheBook, and as always, subscribe in Apple Podcasts.